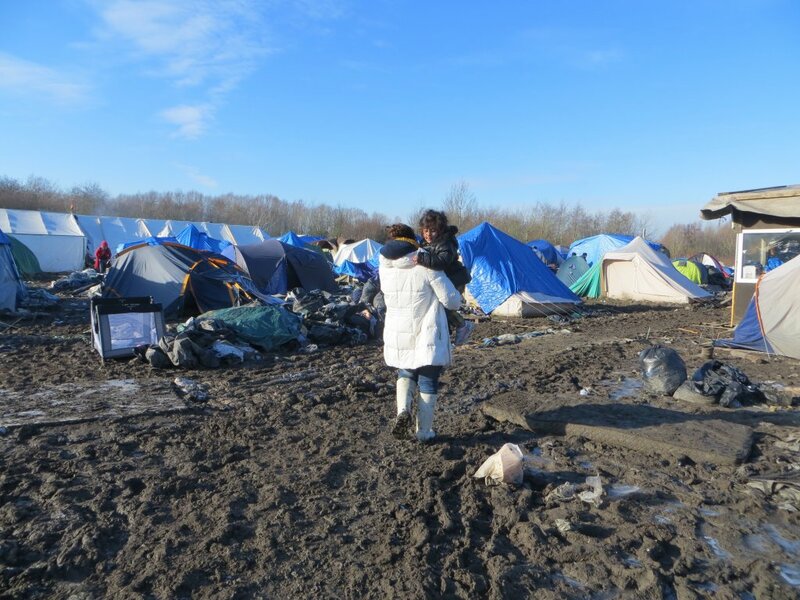 Brenna Daldorph, a journalist at InfoMigrants, first met Kurdish refugee Hema* and her daughter Jana* at the "Jungle" migrant camp near Grande-Synthe in France in 2015. Two years later, they found asylum in the United Kingdom. 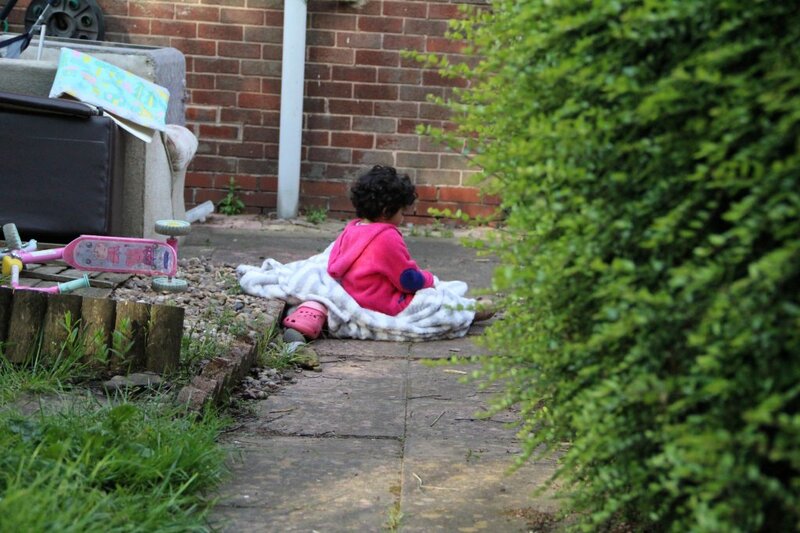 While Jana and her new baby sister Mina* are flourishing, Hema is struggling to adjust to her new life as a refugee in the UK. “You be the tiger and I’ll be the princess mermaid who has to run away,” says Jana*. She’s five years old, home from school with the chicken pox and bored. When Jana speaks, it’s hard to believe that she’s only been in the United Kingdom for two years. The little girl has a heavy northern brogue as if she’s always lived in Stoke-on-Trent, a town in the north of England. She doesn’t remember the Jungle. “Yes,” her mother, Hema*, says, with a sad smile. Her daughter might not remember the six months that the family spent in the Jungle, but Hema does, in excruciating detail. She remembers struggling to carry Jana over frozen, muddy ground. She remembers night falling, leaving the family huddled in a small shack under old clothes and blankets. She remembers long nights when her daughter cried from the cold and she couldn’t do anything to help her. 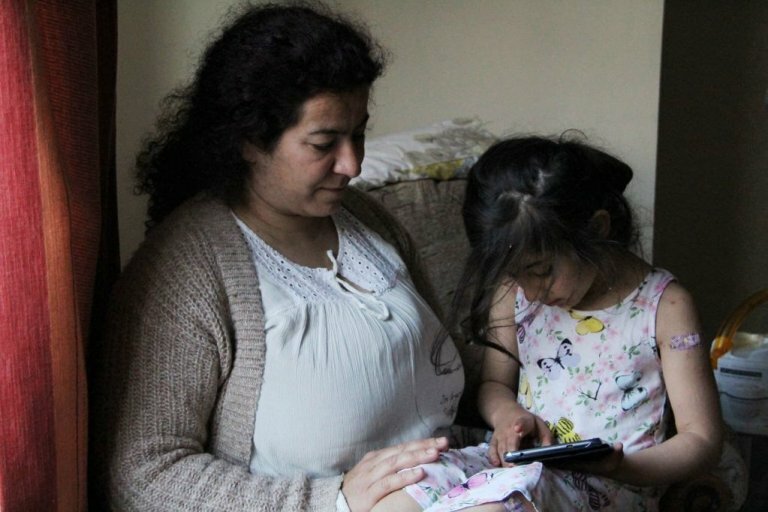 Hema, a Kurdish refugee from Iraq, and her family may have leave to remain in the UK for the next five years, but she is haunted by physical and mental scars of her journey to Europe. “I saw too many things in my life,” she says, shaking her head. Only a few years ago, the family was living a comfortable life in Gawer, a small town near Mosul. Hema has six sisters, all of them teachers. She herself had a job teaching English. But everything crumbled upon the arrival of the so-called 'Islamic State' terrorist organization (IS group or ISIS). After the IS took Mosul, people in Gawer were terrified their town would be next. Hema says she barely remembers making the decision to leave. At the time, the fear was overwhelming. The town was in chaos, with people scrambling to get away from the IS. She just knew that she needed to get her daughter out before it was too late. By the time the family got to France, they had run out of money. Without the cash to pay a smuggler, they were trapped. The family spent six months between Calais and Grande-Synthe, another camp to the north of Dunkirk, living in brutal tent cities known as the Jungle. As temperatures dropped below zero, Hema would carry her daughter from tent to tent, visiting volunteers, getting her lunch -- in short, trying to do anything to distract her from the cold. They had fled the "Islamic State". But, sometimes, in the frozen mud of Grande-Synthe Jungle, Hema wondered if any fate could be worse than this. In the end, it was the gregarious little girl who saved the family. Jana, who was then three, talked to everyone, including volunteers who came to the camp to help refugees. One of them took pity on the family, giving them some of the thousands of pounds they’d need to make it to the UK. With that money, they finally had enough for the crossing, which Vahid says cost around 8,000 pounds. One night in May 2016, a smuggler near Calais helped them climb into a truck parked in a lot. After the door shut, the family would stay in the airless compartment for 17 hours. Hema was sick the entire journey. It was especially bad because, several weeks prior, she had discovered she was pregnant. During the long hours in the truck, she wondered if she’d die. She felt like she couldn’t breathe. The terrible feeling of being trapped stays with her. “I still think about it,” she says. Hema didn’t die. The family made it to the UK and were moved into government housing for asylum seekers. On November 9, 2016, her baby girl Mina, was born. The family’s first asylum claim was turned down. But, upon appeal, they were granted leave to remain in the UK for five years. That means that they are ok for now, but, in five years, they will have to apply again. 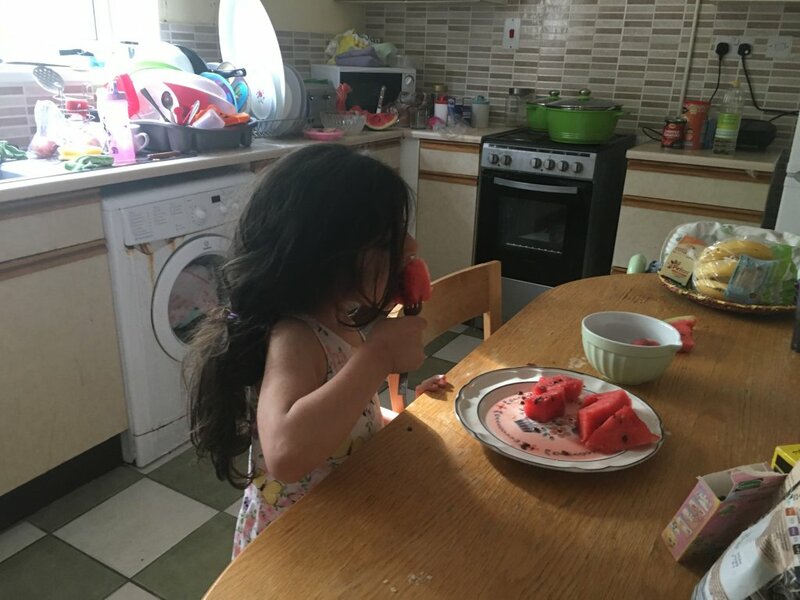 Even Mina, who was born in the UK, will have to apply for citizenship when she is older because she was born to two foreign nationals. Hema says it feels like living in limbo and she worries constantly that, in five years, they will be sent back. Despite that, she is trying to build a life in the UK. Through a practice of dispersal, the UK sends asylum seekers all over the country to avoid overburdening certain communities where large numbers of people arrive. Hema and her family ended up in Stoke-on-Trent, a city of roughly 250,000 people in northern England that has struggled since the collapse of the local pottery industry and the nearby coal mines. They live in a crumbling council home (provided by the government). Hema says it is relief to feel like they are living in a safe place. But it doesn’t feel like home. Jana is the only refugee child in her school. As far as Hema can tell, she and her family represent the only refugees in the neighborhood. Still, Hema feels isolated. In Iraq, she worked and had a busy social life. Here, she just stays at home with the girls. She doesn’t have any Kurdish friends here. Sometimes, she meets up with a woman who used to volunteer in the Jungle, but that’s it. She and Vahid have been fighting. She thinks that one day, when the girls get older, they will separate. At night, Hema, who sleeps in between her daughters, tosses and turns. She said she’s so tired that, if she could, she’d sleep for a week. But when her head hits the pillow, she can’t. Tacked up on the corkboard in the entryway are letters—medical and physical therapy appointments. Hema is only 35, but since the journey, when she carried Jana and a heavy bag for months on end, she has struggled with chronic back and knee pain. It’s become so bad that she wants to request a one-story home because it hurts her too much to take the stairs. She takes tablets for the pain, but it comes back. Just like the memories. They wake her up at night. And, often, during the day, Hema drifts off, a distressed look on her face. “Sometimes, I am crazy in my head,” she says, describing the flashbacks she experiences. When she gets sad or overwhelmed, she likes to stare at the cool green of the trees outside her kitchen window in Stoke. She misses the trees in Iraq. Hema sometimes compares herself to a bare tree, stripped of leaves. She chose her younger daughter’s name, Mina, because it represents a tree laden with fruit. "I hoped that she would make me feel that way again,” she says. She buries her face in Mina’s curls. “When I am sad, I smell this smell and it helps,” she says, wrapping her arms around her youngest daughter. She looks up at Jana, who has launched into an impromptu dance performance and is attempting cartwheels across the living room floor. * All names in this story have been changed to protect the identity of those interviewed.